The government has promised to “stamp out” abuses highlighted in a Guardian campaign that revealed how some buyers of new-build homes have been left with virtually unsaleable properties because of rapidly escalating ground rents. Many buyers of new-build homes, particularly in the north west of England, have been sold their properties on a leasehold basis. Traditionally homes have been sold freehold, but new-style leasehold homes come with ground rents that in some cases double every 10 years. Residents are facing rising costs, or struggling to sell their properties when they want to move. 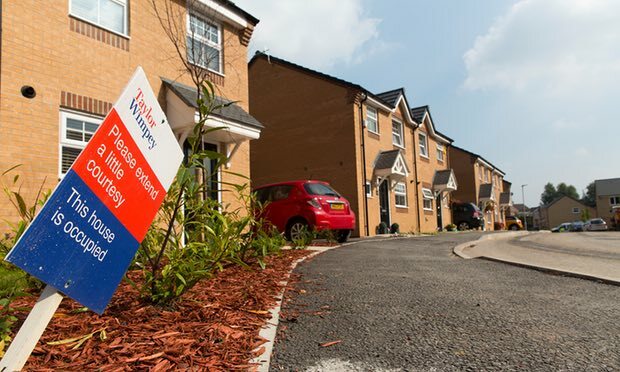 In one case reported by the Guardian, a buyer of a £101,000 flat in Dudley built in 2010 by Taylor Wimpey found that his wife’s ground rent was set to spiral to £8,000 a year. He said the couple were now trapped in an apartment they could no longer sell because the ground rent review clause in the lease was preventing lenders approving a mortgage. Clair Scott was another new home buyer devastated by soaring ground rents that have made her £200,000 mid-terrace three-bed house in Bolton, built only six years ago, almost unsaleable. Others have revealed how houses were sold by developers with the promise that a 999-year lease was “virtually freehold” only to discover that buying out the lease just a few years later was three or four times more expensive than promised. Bottomley, MP for Worthing West, has been among the sternest critics of leasehold issues for many years. Analysis by campaign group Leasehold Knowledge Partnership earlier this month revealed that nearly £2bn-worth of new-build leasehold houses were sold in England and Wales last year. In most cases, the developer sells the freehold after a couple of years to a private company, which are then sometimes accused of demanding extortionate fees by homebuyers.